Sample a snapshot of Loyton life without booking a full house party! 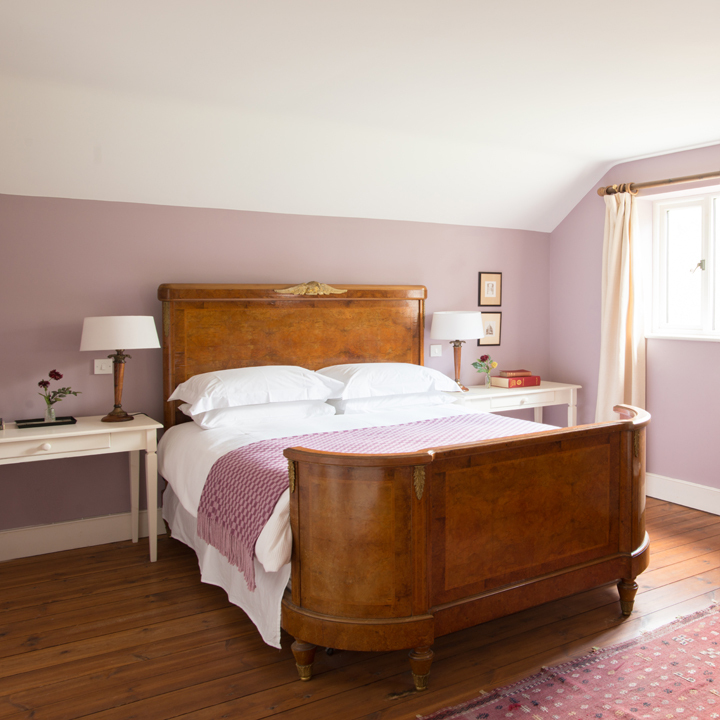 For those looking for a quieter break, a selection of our boutique rooms can be booked individually on a bed and breakfast basis. Supper is available by request and through the summer months we host a variety of events and special offers so you may wish to tie in your South West visit with an on-site gathering. Dogs are very much welcome and have plenty of private outdoor space for their exercise and adventure. We have six en suite rooms available for guests to enjoy the comforts of our boutique bedrooms. Residents are encouraged to make use of the whole premises during their stay and to unwind in the abundant space. Arguably the most important part of your day! For our B&B guests this is enjoyed in the sunlit breakfast room between 8am and 10am, or by arrangement.